Not only do you want your pet cared for by an exceptional team, but you want your veterinary surgery to be modern and fully equipped. 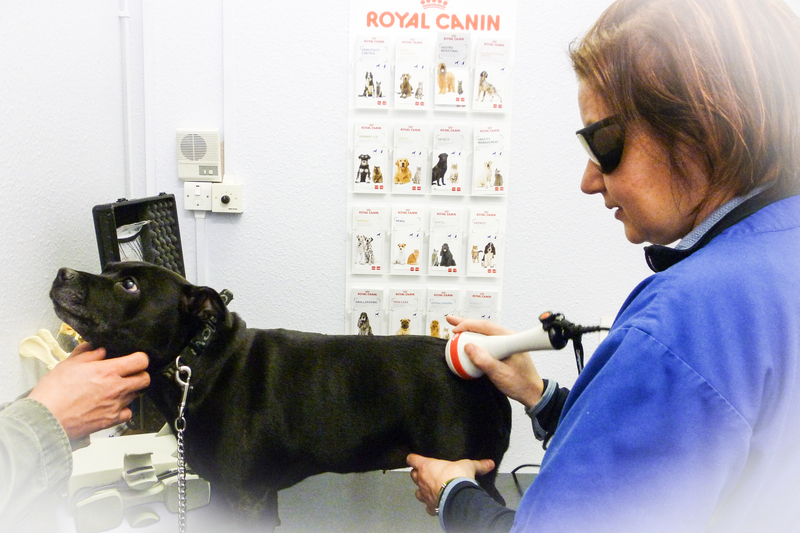 At Stanhope Park Veterinary Hospital we have invested in state-of-the-art equipment enabling our vets to provide your pet with accurate diagnosis and the most up-to-date, effective treatment. You will be welcomed into our bright and modern reception area where you will comfortably wait for your appointment. For you and your pet’s safety we ask for all pets to be secure, either on a lead or in a cage. Don’t worry if you have forgotten your lead as our friendly receptionist will have one spare for you to borrow. If your pet is particularly nervous, let a member of our understanding team know and we will be more than happy to show you to a quiet consultation room to wait in instead. 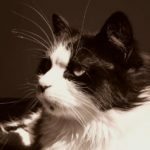 Our consultation rooms are the perfect environment to examine your beloved pet and complete basic treatments. They are modern, well lit and all have air conditioning to ensure your pet is not too hot nor too cold. This room is used to reassure pets before surgery. 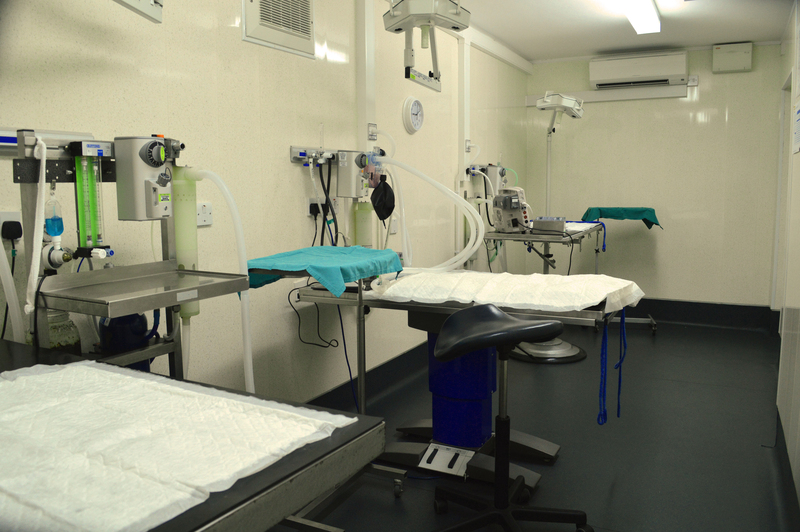 We also use this room to anaesthetise, clip and prepare your pet for their surgery. We have separate dog and cat wards that have been updated to improve the welfare of our patients. Our main hospital’s cat ward has been relocated to the first floor, well away from our canine patients to provide a quiet and stress-free environment in which to recover or recuperate! We have also updated the kennels to specially designed “cat cubes” which are an opaque laminate with acrylic doors. This type of kennel is more “cat-friendly” than the traditional stainless steel kennels, as it avoids scary reflections from the metal, and they are warm and quiet, as well as being easy to clean. Each cube also has a built-in resting perch to give the patients that all-important vertical space, to allow the cats to survey their surroundings! The ward is also suitable for hospitalisation of small furries such as rabbits and guinea pigs, and the cubes are all situated along one wall so small pets are unable to see any predators. Our dog ward is a clinical and inviting environment for your four legged friends, located out of the way of any felines. We have a large range of Shor-Line stainless steel kennels that are hard-wearing, durable and very easy to clean, and have recently built some extra “walk-in” kennels in our old cat ward, suitable for large breed dogs and those that need a little more space during their stay. Each kennel has its own clipboard and kennel lock, so we can always identify your little monster. Your pooch will also have their own personal collar complete with their name. Our reptile ward has been relocated just round the corner on Duke Street at our new Cats and Exotics Clinic. The ward has a large range of vivariums for all species of reptiles that may be kept as pets and will provide your reptile with an ideal, safe and quiet environment in which to recuperate during his stay. The isolation ward is situated on the first floor of the practice. 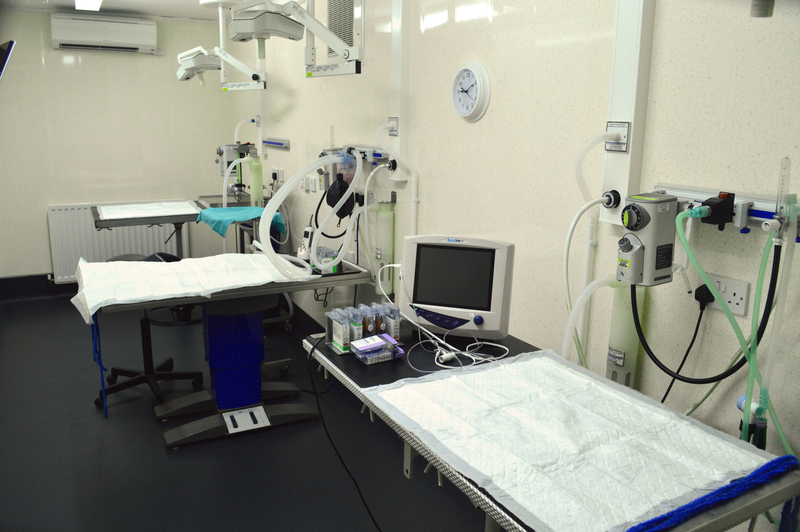 This ward is used for contagious dogs and cats that pose a health risk to other hospitalised pets. Our operating theatre is a sterile environment where the air is filtered on entry and forced out of the room through the only door. All people entering the theatre must wear scrub suits, surgical footwear, hats, and shoe covers. All surgical procedures are carried out by veterinary surgeons who are fully scrubbed, gowned and gloved. The dental suite is where your pet’s teeth will be examined. We have modern equipment including a dental bath, electronic scaler, drill and polisher. 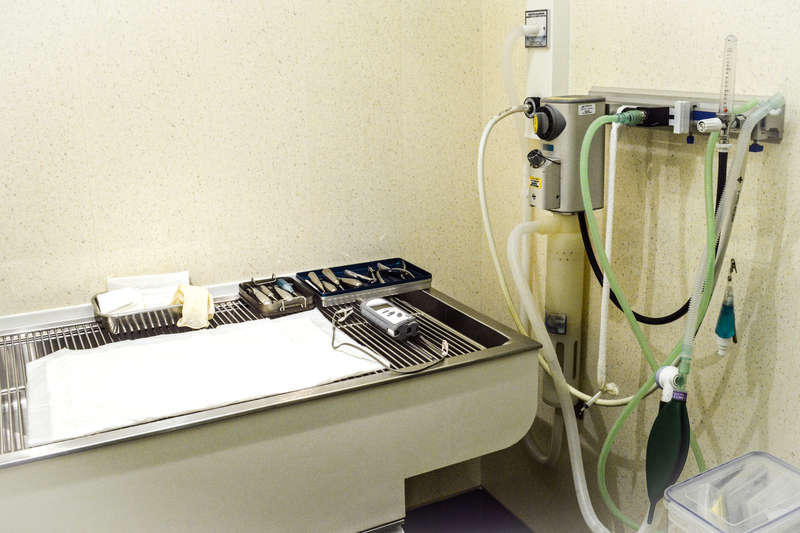 Dentistry is carried out in a separate room to minimise the spread of airborne bacteria to surgical cases. This is where we take radiographs, which is a form of X-ray. The room is lead-lined with a lead-lined door to minimise the risks of exposing the staff to the X-rays. The digital system that we use produces excellent detailed images, which minimises the need to repeat exposures. 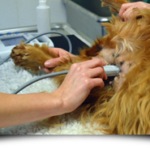 This minimises the time that your pet needs to be under anaesthetic. We have recently upgraded to a new digital system which produces top quality images. We have a large range of modern analysers that allow us to perf orm blood tests in-house, so that your pet can be treated quickly and effectively. 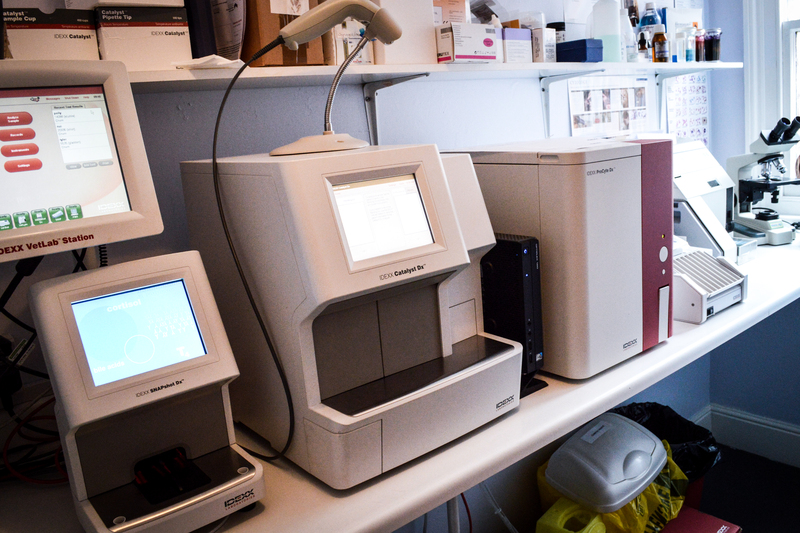 We have blood analysers for biochemistry, haematology, electrolytes and blood gases. 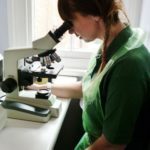 We regularly carry out tests on urine and skin and hair samples too. Faecal samples can also be carried out on exotic pets to check for common parasites like coccidia. The in-house laboratory allows us to get blood results in as little as 15 minutes so that animals can be treated quickly and efficiently. 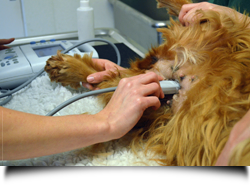 Pre-anaesthetic blood tests can be carried out on the morning, prior to your pet’s sedation. We have a fully immersible, flexible gastroscope as well as a flexible bronchoscope. 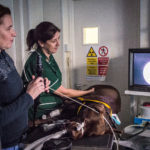 These allow us to see inside the oesophagus, stomach and the start of the duodenum, as well as the trachea, bronchi and bronchioles of large cats and most dogs (apart from the smallest ones). This can be very useful to diagnose foreign bodies, take stomach biopsies and diagnose several respiratory problems in a non-invasive way. For more information contact us or ask your veterinary surgeon. We have a dedicated small animal ultrasound machine with which we can look at several of the body’s organs as well as for pregnancy diagnosis. As well as visualising the image on the small screen shown in the adjacent photograph, we can also visualise the image on the television used for endoscopy. Ultrasonography is non-invasive and can frequently be performed without sedation or anaesthesia. 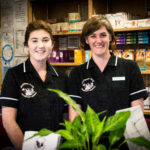 For more information on our facilities or to book an appointment with a member of our veterinary team, please call 01325 380111 or email Stanhope Park Veterinary Hospital at info@stanhope-vet.co.uk.